Google+ is bringing games to the mix. As soon as you are done cursing, and hoping that there is no such thing as “invites” to these games, then we will let you know what to expect. From what their press release is stating, hiding the games and all the junk info that comes with them, is made super easy in Google+. If you do not want to see anything about games, just say so. But once you click on the games tab, then be prepared for a mighty barrage of invites and info about all your loved one’s gaming. Google has some great titles for the launch. 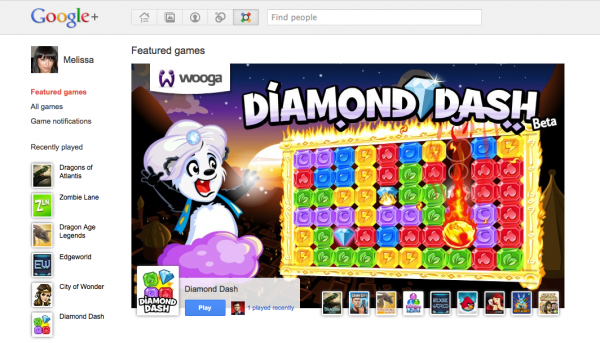 Angry Birds, Bejeweled, Dragons of Atlantis, Zynga Poker, and plenty more. What is even more surprising is the lack of Farmville references in their press release. But do not worry, we are sure that it will come soon. Rejoice, or run for the hills?